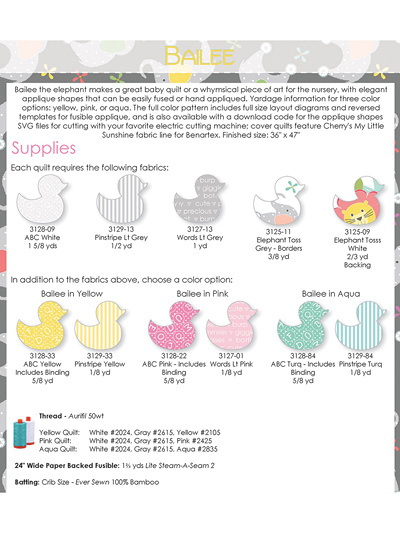 Take a walk on the adorable side! 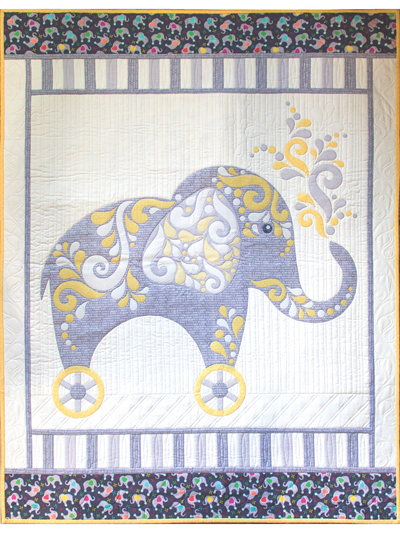 Bailee the elephant makes a great baby quilt or a whimsical piece of art for the nursery, with elegant applique shapes that can be easily fused or hand-appliqued. Finished size: 36" x 47".